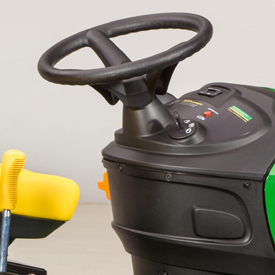 The operator station is designed for comfort and all controls are located for convenient and easy use. 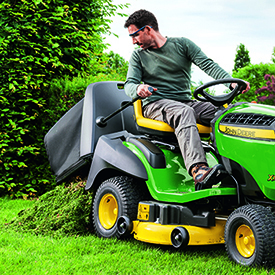 Using the tractor is more pleasant, less tiring, and safer. 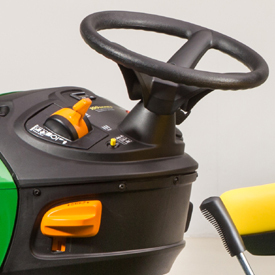 A deluxe steering wheel provides greater operator comfort and control. 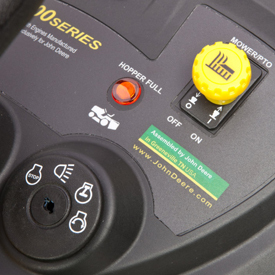 Controls are located for convenient and easy use. 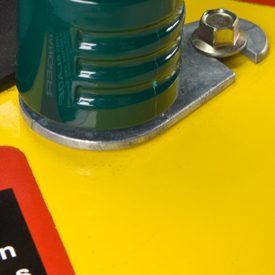 They are color-coded for better visibility. 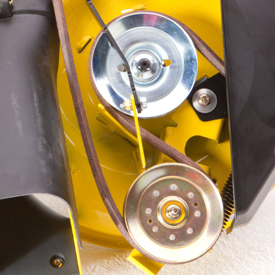 The ignition switch is on the dash for starting ease. 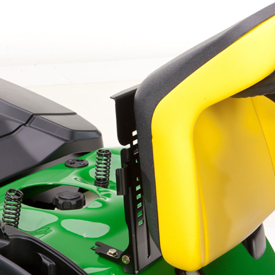 Seat can be tilted forward for protection from the elements and to provide easy access to the fuel tank. 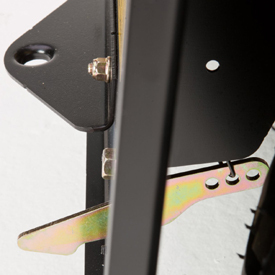 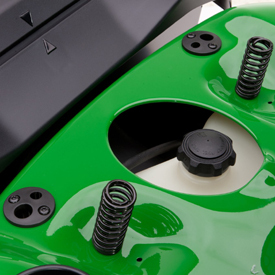 Seat springs give a smoother ride. 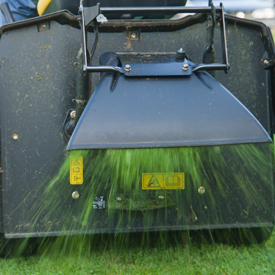 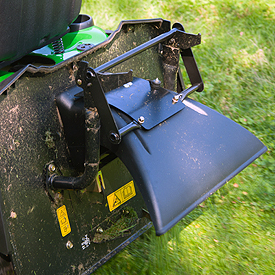 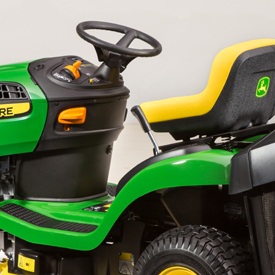 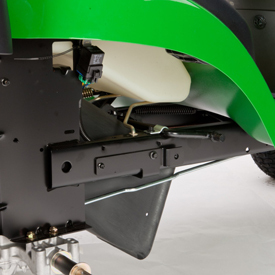 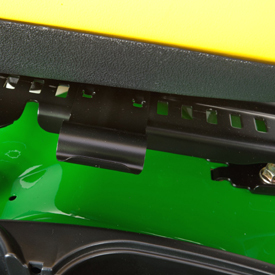 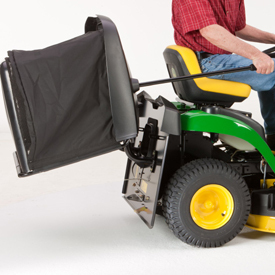 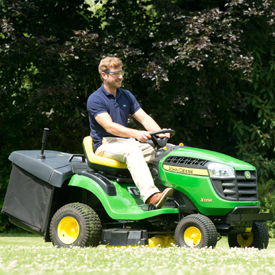 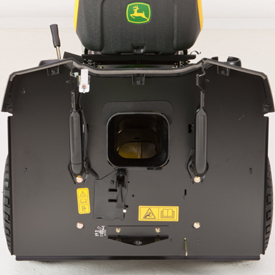 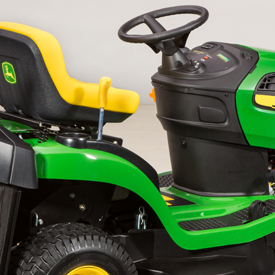 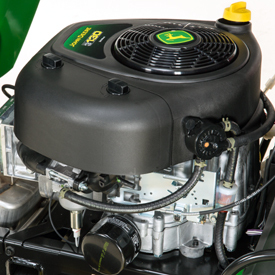 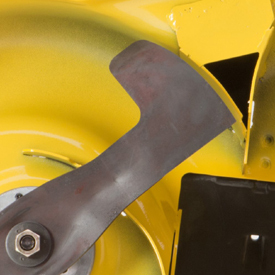 To engage the mower deck, the operator simply moves the manual lever forward. 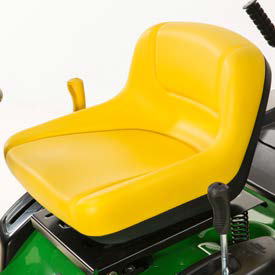 It is located on the right side next the integrated cup holder. 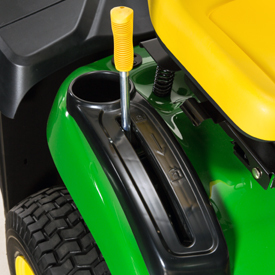 Depressing the deck lever tightens the belt drive of the mower deck. 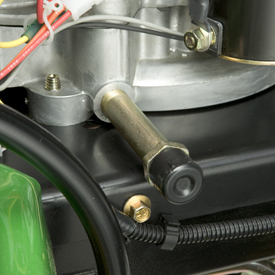 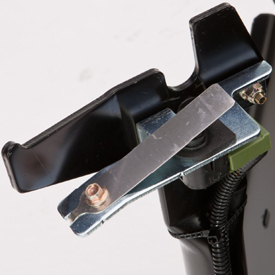 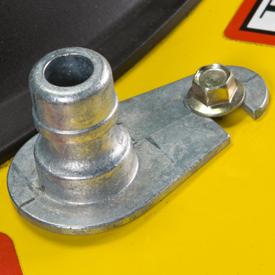 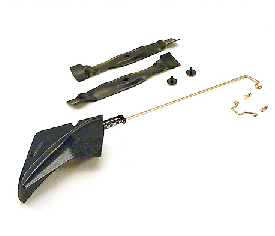 No-tools oil-drain valve provides easy access for oil changes. 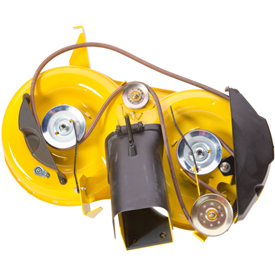 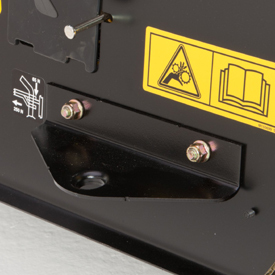 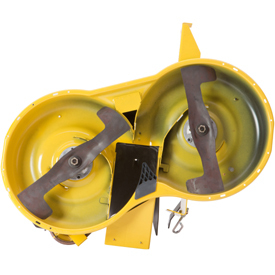 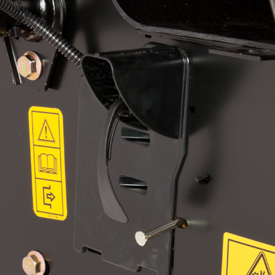 When the hopper is full, a light on the dash will come on and an audible alarm will sound, to alert the operator to disengage the power take-off (PTO). 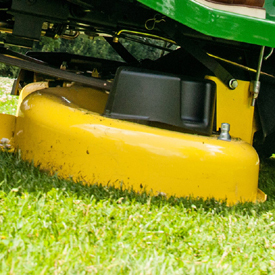 The mower deck is stamped from 2.7-mm (0.105-in.) 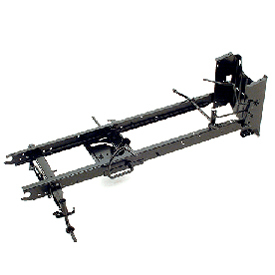 steel to provide smooth contours for a quality appearance and excellent performance.